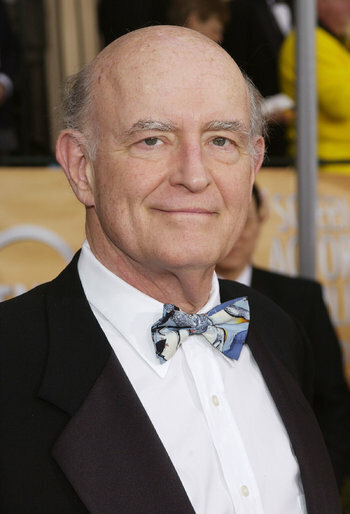 Peter Lawrence Boyle (October 18, 1935  December 12, 2006) was an American actor and comedian, probably best-known for his roles as the Monster in Young Frankenstein and Frank Barone on the long-running sitcom Everybody Loves Raymond. Though primarily remembered for his comedy work, Boyle had a diverse career as both leading man and character actor. Born in Norristown, Pennsylvania, Boyle studied for three years to become a monk at La Salle University, but ultimately left the novitiate as he did not feel a religious calling. After a stint in the Navy, Boyle moved to New York and became an actor, joining a touring company of Neil Simon's The Odd Couple. He relocated to Chicago and joined The Second City improv group, performing as a comedian in the late '60s. Boyle appeared in several films in the late '60s, including a bit part in Medium Cool, but achieved his Star-Making Role in John G. Avildsen's Joe, playing a Politically Incorrect Hero who fantasizes about murdering hippies (and ultimately gets to live his fantasies). While Boyle and the filmmakers intended Joe to be unsympathetic, audiences cheered his killing spree at the film's end, making Boyle into a star and an unlikely cultural icon. Boyle was shocked by the response to his performance and turned down a number of similar roles, notably Popeye Doyle in The French Connection, as a result. Boyle continued playing dramatic roles in movies like The Friends of Eddie Coyle and Taxi Driver; he also earned an Emmy nomination for playing Joseph McCarthy in the television movie Tail Gunner Joe. However, Boyle became more associated with comedy after Mel Brooks cast him in Young Frankenstein. His playful, completely against-type performance won him wide acclaim, helping to soften his previously coarse screen image. Boyle continued performing regularly in films, television and stage roles through the '80s, but a stroke in the early '90s temporarily slowed his career. He made a major comeback in 1996, after his guest appearance on The X-Files, as the title character in the episode Clyde Bruckman's Final Repose. He won an Emmy for Outstanding Guest Actor in a Drama Series for his performance. Shortly afterwards, Boyle was cast as the title character's cranky father, Frank Barone, in Everybody Loves Raymond, a role he played for the entirety of the show's run. Boyle's performance is a comic take on his previous typecasting, a bigoted, vulgar Jerk with a Heart of Gold who bickers with his wife Marie while alternately mocking and trying to connect with his sons, Ray and Robert. Boyle earned seven Emmy nominations for Outstanding Supporting Actor in a Comedy Series, but never won for this show. Boyle continued acting until his death in December 2006. Though often typecast as bigoted or rough-edge characters, he was known as a very kind and warm-hearted man; Mel Brooks remembered him as exceedingly gentle and with a playful sense of humor, and Ray Romano came to consider him a mentor during their work on Raymond. In equal contrast to his screen image, Boyle was also a political progressive who campaigned for Democratic politicians, and was a close friend of John Lennon and Bruce Springsteen.